Seeds for genetically modified crops are not the only ones that are patented. As documented by the US Patent and Trademark Office, there are many conventionally bred crops that are patented, as well as decorative plants and flowers. Considering the amount of time, money and effort that it takes to create a plant through traditional methods that has the traits and qualities that the breeder desires, it makes sense to protect the investment through a patent. Given that GMOs are not sterile, agricultural biotechnology companies rely on legal agreements with growers to ensure that seeds are not replanted from one year to the next. These contracts are generally known as “Stewardship Agreements”, whose details are readily available online. Monsanto’s Agreement outlines many aspects of its stewardship program: where products can be distributed, the requirement to plant an insect refuge to prevent Bt-resistant pests, managing glyphosate-resistant weeds, among others. Although most examples in this article focus on Monsanto, other agricultural biotech companies have very similar agreements, including Pioneer and Syngenta. But outside of the context of GMOs, farmers in developed nations generally purchase new seeds each year for hybrid crops to generate higher yields. Anti-GMO activists regularly claim that Monsanto sues farmers who have accidently reused seeds or found their farms inadvertently “contaminated” by GE seeds. That’s not true. 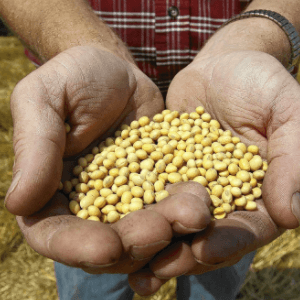 Monsanto does sue farmers who use its seeds without licensing agreements. Arguably, the most famous of these cases was against Canadian farmer Percy Schmeiser, whose story was the focus of the conspiracy-theory-laden documentary “David versus Monsanto”. Schmeiser discovered that his field had been contaminated with Monsanto’s Roundup Ready canola seeds when the land segments surrounding utility poles was sprayed with Roundup. He then admittedly used the seeds from areas where he sprayed with Roundup to replant the following year’s crops. Schmeiser’s legal team for the federal court case argued that by releasing the gene into the environment in an uncontrolled manner, Monsanto had lost or waived their rights to an exclusive patent. The judge’s decision concluded that Schmeiser’s arguments defy all evidence. 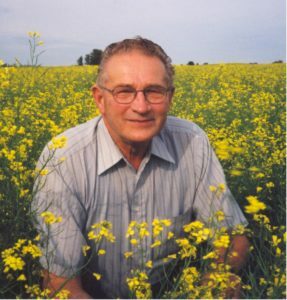 , Witnesses testified that Monsanto removed “plants from fields of other farmers who complained of undesired spread of Roundup Ready canola to their fields.” The judge also found that the level of contamination that had been detected in Schmeiser’s fields through various tests could not be attributed to birds/bees/wind alone. The case was appealed to the Supreme Court of Canada, which ruled in favor of Monsanto. However, its decision was not unanimous. 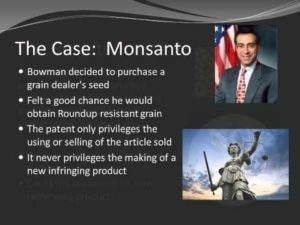 Canadian law excludes patents on higher life forms, and several of the Justices were of the opinion that Monsanto’s patent is enforceable over the cell or gene but not over the plant and its offspring, which is what Schmeiser had “used”. 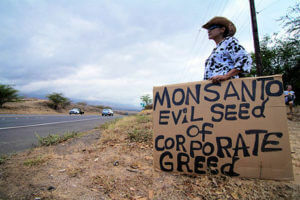 The biggest court case in the United States between a grower and agricultural biotech company was Bowman vs Monsanto. 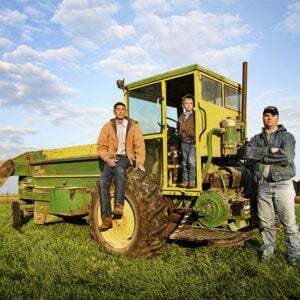 Bowman is a farmer from Indiana who, according to the court documents, “appreciates Roundup Ready soybean seed”. He bought Monsanto’s seeds and planted them for the first crop of the season. 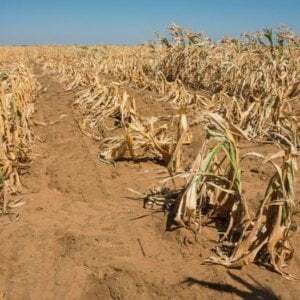 However, for the second and more risky crop of the season, he bought seeds intended for human or animal consumption from a grain elevator and planted these in his field. He then applied a glyphosate-based herbicide, effectively ensuring that the entire crop consisted of Roundup Ready soy plants. Monsanto discovered this practice and sued Bowman. The basis of Bowman’s defense was patent exhaustion, meaning that once someone has sold a patented item, they no longer control that item and the new owner can do whatever he/she would like with it. The District Court rejected Bowman’s argument, and the Federal Court affirmed it, yet the case made its way to the US Supreme Court. Before reaching its verdict, the Supreme Court received briefs from numerous organizations describing the impact that their ruling would have, including software, biotech and research companies, and economists. The court gave its unanimous verdict in 2013 stating that patent exhaustion applies only to the item sold, and that the buyer cannot replicate the item. Their opinion states that if purchasers of items were to be able to make endless copies, then the patent would be effective only for the first sale (which is actually the idea behind the Wu-Tang Clan’s latest album). As such, Bowman could have sold the beans he purchased from the elevator grain, or he could have eaten them or fed them to animals. 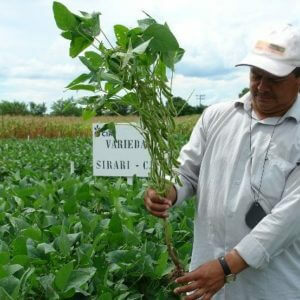 The Supreme Court’s opinion states that by planting the beans, he effectively replicated Monsanto’s patent and the patent exhaustion principle does not apply in this scenario. At issue was Monsanto’s promise, displayed on its website, to never sue a farmer whose fields have been (unknowingly) contaminated by its seeds. It isn’t a law. It isn’t something that it had sworn to under oath, and at the end of the day, its statement could be false advertising or a PR gimmick. In back-and-forths between lawyers, Monsanto wrote that it has no reason to go after farmers for low level contamination because there’s no financial incentive, and that if the growers/farmers don’t intend to use/sell transgenic seeds, then their fear of a lawsuit is unreasonable. The judge threw out the case based on the fact that “these circumstances do not amount to a substantial controversy and . . . there has been no injury traceable to defendants”. The case then went to the United States Court of Appeals for the Federal Circuit. The documents for the case state that the appellants have to demonstrate that there’s a substantial risk that harm may occur or that they have to go through expenses/costs to mitigate those risks. 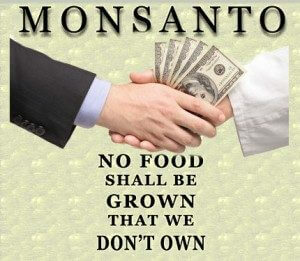 But the Organic growers/seed distributors (OSGATA) conceded that Monsanto had never threatened to sue them. OSGATA stated that its fear was based on the fact that Monsanto had taken 144 growers/sellers to court and settled 700 additional cases out of court. Monsanto argued that none of these cases had been due to inadvertent contamination. However, the way patent laws are written, using even a small amount of a patented material without authorization could constitute patent infringement. For the purposes of the appeal, the judge proceeded with the ruling based on the assumption that inadvertent contamination constitutes patent infringement, and that inadvertent contamination was inevitable. The record states that the argument would be moot if Monsanto really did not intend to sue, due to the fact that the US Supreme Court has recognized that a covenant not to sue nullifies a controversy between parties. Monsanto has a written policy on its website against inadvertent contamination and the court documents recorded Monsanto’s position on the argument. Monsanto and the organic growers agreed that “trace amounts” meant approximately 1% contamination. The ruling states that although this was not a covenant, it had a similar effect and constituted a judicial estoppel (where you cannot contradict something that has been established as truth by yourself or others). The court ruling ended with this statement: “the appellants have alleged no concrete plans or activities to use or sell greater than trace amounts of modified seed, and accordingly fail to show any risk of suit on that basis. The appellants therefore lack an essential element of standing.” Yet some in the organic movement spun the verdict as a victory because it now had in writing that Monsanto would never sue for inadvertent contamination–which it had pledged not to do, and never had done. So how is it that this myth about Monsanto suing farmers still circulates? 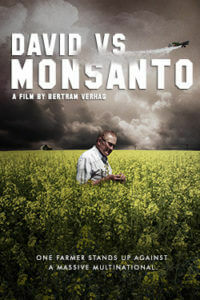 Based on clips from the movie “David vs Monsanto“, you could believe that Monsanto plants evidence and works with testing companies to ensure that they will win every court case. You could believe that the 700 court cases that were settled out of court were against farmers who were inadvertently contaminated, but just didn’t have the money to fight Monsanto in court. You could believe that all the court cases had judges and witnesses who were paid off by Monsanto. Why are seed patents necessary? My perspective is that Monsanto or any large seed company have better things to do than to sue the small farmer who inadvertently uses thier seeds. From a practical perspective, it would probably represent a greater expense to them in legal fees than what they would recoup through the settlement or court case and such an act would be incredibly harmful public relations. This article is not meant to excuse the many issues surrounding company earnings or patents. That US patent laws need to be reworked is a given, and was actually highlighted by President Obama at his 2014 State of the Union address. That some companies may be earning what some people may consider as “excessive” is a moral dilemma that is not exclusive to the biotech industry. Having spent a third of my life in South America and having a brother and sister-in-law who worked as physicians in Venezuelan public sector hospitals, I have strong feelings about what companies should be doing in their aid efforts, but again, that is outside the scope of this piece. What this article is meant to highlight is that patents, for better or worse, may be the only way to provide incentives for innovation while ensuring that a biotech company can recoup development costs. In the same way that copyright laws protect artists and authors, which will probably cause me to pay about $10 to download Bruno Mars’ amazing melodies from iTunes today, patent laws are in place to respect the work of those who have spent the effort, time and money driving a product’s development. A version of this story was published by the GLP in October 2016.